One of the biggest names in the spa and care industry just introduced new services that's even a little easy in the pocket. 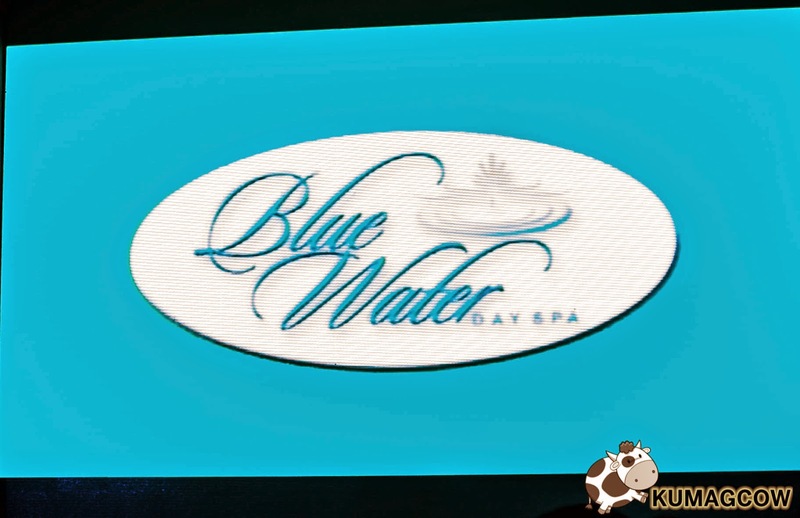 Blue Water and Day Spa that's got branches in Ortigas, Makati, Eastwood, Tomas Morato, Capitol Hills, Naga City and Cotabato City will now have EMANS Massage and their favorite Brazilian Hand and Foot Massage as part of their services. Now you must be wondering who these celebrities are on the poster, yes that's Anthony and David Semerad on the cover. They're the new image models for Blue Water and Day Spa and it was nice to see them in the flesh as part of the celebrations that afternoon. They really hit two birds with one stone. The Brazilian Hand and Foot massage was basically made to lift your body. It also hastens to regenerate your skin and make your complexion a tad better. It utilizes a special massage for the hand and feet which techniques were made for the prevention of the appearance of varicose veins by using special crystals. It's something comparable to acupuncture since they concentrate on pressure points without really using needles. It is also said to prevent pain in the wrist and fingers making it all good for hand and muscle motion. Best of all, if you're tired and want to relax from blogging all day... this is the perfect way to get back in the groove again like pampering specific for the hands and feet. EMANS Massage on the other hand is a one hour slow and gentle massage that makes use of a technical mobilization principle that aims to achieve a more therapeutic effect to release trapped energies and ease joints in the body. It will make you feel relaxed and lessen stiffness in the joints so you would prevent fractures, ligament tears, nerve compressions and others. It can be applied to young and old people to improve mobility and flexibility. It can also be done to athletes that want to become more flexible, or feel better if stretched too much. I haven't tried this yet but I bet it'll be good too for my back area. To show perfect flexibility, a group performed capoeira moves in the middle of the everything. They tumbled, stretched and flipped but nobody got hurt. Aside from this spectacle, a mini mardi gras also happened in front of the stage. We felt like we were in Brazil. The only think lacking is Fabio Ide. Oh he was there too! :) Now that we've seen everything, the only thing we need to do is to rush to their branches nationwide and get to try these new Brazilian Hand and Foot Massage plus the new EMANS massage that'll make life a little better.They even mentioned this to be Lifestyle Redefined... kinda perfectly like my site... KUMAGCOW is Men's Lifestyle Redefined! Y'all remember that huh! :) It's their campaign this year and I bet it'll be really good. Solaire and AirAsia Launches SkySolaire! There's Now KakaoTalk On Your Mac! Baguio Brunch and Dinner Buffet on Father's Day! Why Is It So Good To Be Filipino? Time To Revisit Heaven and Eggs! Nescafe: What's your fresh start? Mazda Sponsors UAAP Live Games! Barbie Forteza Excited for "Half Sisters"